At Courtesy Acura, our focus will always be you, the customer! Schedule your service and maintenance here! 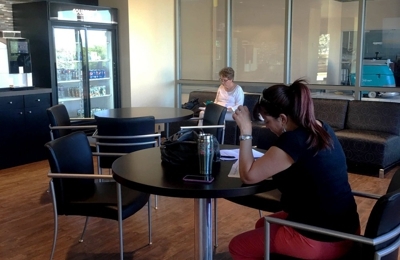 Comfortable waiting areas with quality beverages and snacks for working individuals, families and children both in Service and Sales. Daniel Strajna was awesome! I originally contacted him via the Internet, he answered all of my questions so when it was time to come in for a test drive we had all the information we needed. There was no pressure, we could have walked away at any time and felt comfortable. I am so happy with my new RDX! Got my TL and MDX oil change. Great service - will for sure come back again! 9/29: Brought my MDX on 9/17 (battery and oil change) and 9/25 (body work) for to different service. They were prompt and great quality. 12/30 Once again had a great experience having my TL serviced. I have also referred a friend which purchased a brand new MDX there this month!! 6/26/15 - I just brought my MDX and TL in again for service. I had excellent service as usual. The place is honest and fast. Five Stars again! 3/11/16 - Brought my MDX in for my major service (timing belt) great service and customer service by Hollie Walters. 3/18/16 - Brought my MDX back in for the second phase of my service to change the breaks. My suv is good to go now for awhile!! Thanks Courtesy!! Courtesy Acura is friendly, efficient and easy to work with. Shon Gallegos was our service advisor who walked through every detail of our automobile concerns and how they might address them. I would highly recommend them. Love the quick service I got today. I always go here for oil change. It may be a little pricy but. I like that it's a friendly environment. Top rate dealership! Just bought 4th Acura from Courtesy Acura. Daniel Strajna started us off and was very patient, kind and not pushy at all! So refreshing! His partner Sean Wardrope finished the deal and he too was a pleasure to work with! Will continue to go back to this dealership. I have also taken my cars there for service for many years and have never been disappointed. Everyone treats you like family. 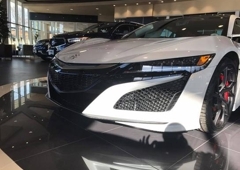 From the moment we showed up at Courtesy Acura, Todd Connell greeted us at the front door with a positive and enthusiastic attitude. He was extremely knowledgeable, patient, and fun to work with. During our many visits, we test drove the two different drive trains of the TLX and learned more about the available packages to make the right buying decision. Todd was more than accommodating to our needs and requests. We had been to other Acura dealerships in the area, and none of them compare to Courtesy Acura for customer service. The whole team treated us with respect and made us feel like a part of the Acura family. Customer service lives at Courtesy Acura. We were very impressed with Charell and the entire team's service, knowledge, and hospitality. They made us feel right at home and accommodated all our requests and needs. Professional, friendly, and had us in and out in a very timely manner. Didn't feel pressured or haggled. Easiest car buying experience thus far. I highly recommend Courtesy Acura. Todd and the staff were patient, non-pressuring, kind and knowledgeable. Setting up financing was simple and easy. I am very pleased with my purchase and would recommend if you are shopping for a new car or a used car, to shop here. I purchased a used vehicle that was not an Acura, and it was great, came with a warranty, and I am able to have it serviced here as well. 5 stars. Sarah H.
We didn't plan to purchase a new vehicle. We just came to the showroom at Courtesy Acura to take a look around and were greeted by Mr. Todd Connell. We loved his friendliness and professionalism, so we decided to purchase the vehicle through his service. The gentleman really made us felt welcoming. Also, Mr. Leo Falcam walked us through the functionalities of the new vehicle. He did a really awesome job, explaining all the new technologies that came with the vehicle. The facility was nice and clean. We had such a good experience there. Kevin N.
We had the best car shopping/buying experience at Courtesy Acura..Rick Armijo made the process quick and easy! We were looking for a vehicle for our 16 year old and Rick helped find the perfect car for her! I highly recommend Courtesy Acura for any car shopping needs, we will definitely buy our next vehicle through Rick Armijo at Courtesy Acura!!! I bought my Acura RDX on 12/30/2014; after asking some questions and reviews cars through email with Van, my seller (my brother and me likes him a lot because of his knowledge about cars, very useful); we decided to buy it. It was very fun experience from talking, test drive to finance . I like it a lot, thanks Van. Happy New Year to you all. We had such an incredible purchasing experience at Courtesy Acura. Daniel Strajna and Van Saukam were professional and non threatening! We love our car and would highly recommend Courtesy Acura! What a great experience my husband and I had yesterday at Courtesy Acura Littleton! We were "just looking" for a used car - and with the help of Todd Connell at Courtesy Acura Littleton, we drove home a used Mazda 5!! It's the perfect 2nd vehicle for us!! Thanks for your professionalism!! I found the car I wanted to see and did my own research online. My initial communication with Courtesy Acura started with an email. From there, service really took off. I worked with Van Saukam, and he was nothing short of great. He was not only accommodating with how we communicated, but always responded in a speedy manner. He never made me feel pressured, and even when I drove my car off the lot, he was and is available for any questions I have. Thanks Van! I visited Courtesy Acura in November 2014 and was amazed at how friendly and helpful everyone I spoke to was. I found the MDX of my realistic dream to purchase and Todd, Rick and Owen were, not only really funny and friendly, they were such a pleasure to work with and worked really hard for me to make the the purchase possible and the car buying experience so much easier and better. And Andy in finance didn't settle for just any loan, he worked hard to make sure I was getting the best rate and loan terms possible. I am amazed at how wonderful everyone at Courtesy Acura is and I'm really excited to continue doing business with them. You'll know your are in good hands if you go to Courtesy Acura! Brock Elison and Van Saukam were awesome! I called interested in a Ford Escape and Van and Brock kept me up to date prior to visiting letting me know when the car was available to test drive. It was not the car for us but we told Van the other cars we were looking at and he found us the perfect car a Toyota camry in amazing condition and my husband and I were the first to look at it. There was no pressure to buy and when we decided to buy Van made sure we understood everything that was coming with this. We worked with Andy for our financing and were in and out. I have yet to pick up my car but am very excited to pick it up tomorrow! Thank you Van and Brock!